This spectacular 65km, six-day walk is very popular and must be booked in the summer peak, November 1 to April 30, when you can only walk north to south. Private cars can be parked at both Cradle Mountain and Lake St Clair ends. Otherwise bus operators such as Tassielink (www.tassielink.com.au) and McDermotts Coaches (mcdermotts.com.au), service both ends from major towns. 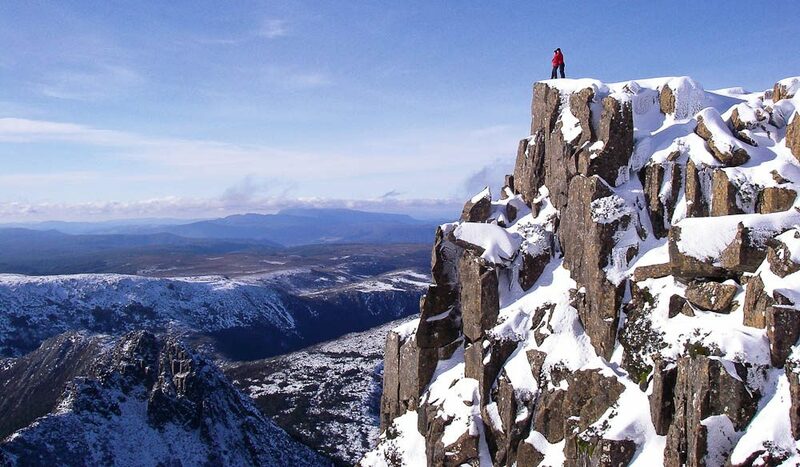 This particular shot was taken from the summit of Cradle Mountain itself.